Those are so beautiful. Aaron has such good taste! Beautiful!! I assume Wegmans Florist arranged this? I had Wegmans Florist do my entire wedding! Auntie Fafa - I love your profile pic! Suzie Q - I didn't realize you had a Wegmans near you - that is so cool! 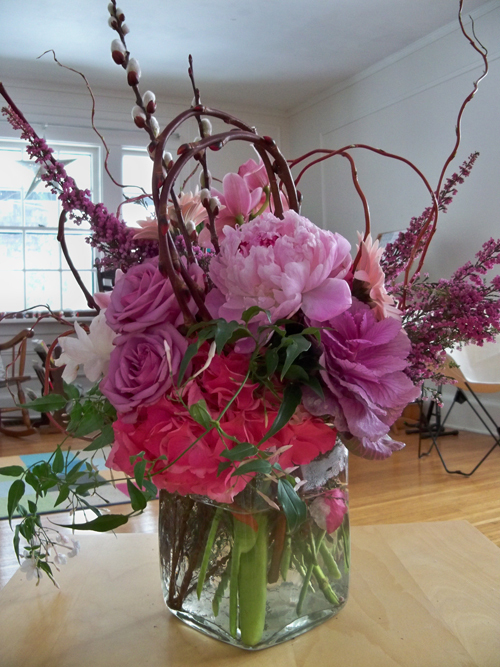 I think I could do without the scraggly branches sticking out everywhere, but the flowers themselves are beautiful!